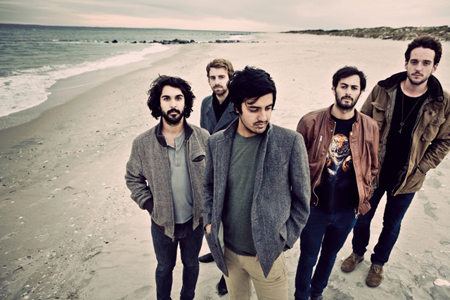 Young the Giant present a diverse set of musical ideas, one that's as varied as their ethnic backgrounds—Indian, Persian, British and French-Canadian among them. But they share a sophisticated sensibility and they're all natives of Orange County. If they sound polished, it's because they've been playing music together since high school. Signed to Roadrunner in the US, Young and Lost Club will release their debut single in the UK "Apartment" in February 2011.